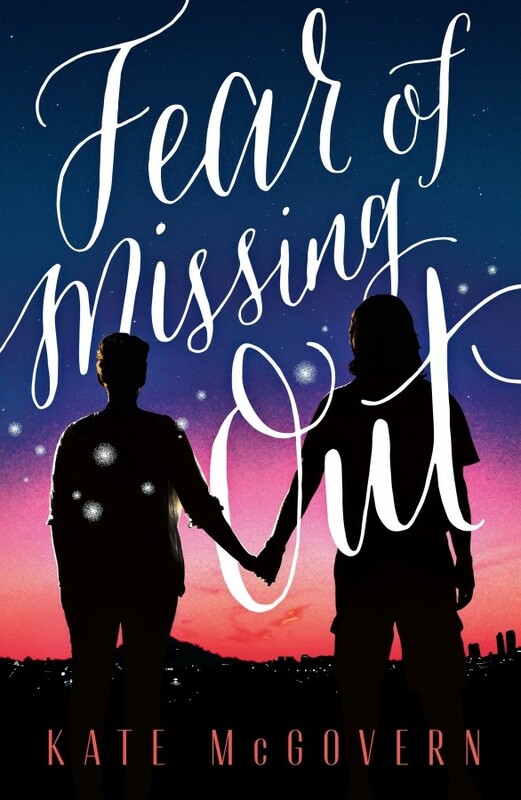 Today we're excited to chat with Kate McGovern author of Fear Of Missing Out. Read on for more about Kate, an interview, plus an giveaway! Kate McGovern is the author of Rules for 50/50 Chances, which was called a “standout contemporary read” by Booklist. She lives with her family in Cambridge, Massachusetts, in a house full of booksKate McGovern is the author of Rules for 50/50 Chances, which was called a “standout contemporary read” by Booklist. She lives with her family in Cambridge, Massachusetts, in a house full of books. Meet Fear Of Missing Out! Like most of the things I write, the inspiration came from a story I read in the newspaper. It was about a woman in her twenties who was facing death and exploring the option of cryopreservation. She was getting pushback from a lot of people, but her boyfriend stood by her. It was fascinating, and sad, and she was incredibly inspiring. I'm always interested in how the possibilities of science can shape and inform and complicate our lives. So her story stuck with me. Well, I hate to play favorites…but I think I feel especially close to Astrid’s mother, in part because I became a mother while writing this book. I really feel for her. She has to grapple with how to let her daughter make her own choices, even when those choices are so painful for her. As the mother of a toddler, I can only imagine how hard that is. The novel! It had a different title for a long time. Then my brilliant editor had the idea to call it FEAR OF MISSING OUT, and I knew immediately that it was perfect. I love the end of the book. I don’t want to say too much and give it away, but it was hard to write, both in terms of figuring out the characters’ experiences, and getting the form and structure right for portraying those experiences. I’m proud of how it came out. I love the colors! And I love the twinkly stars. And I love the city scape. I love a lot of things about the cover. The year is just beginning, but right now I’m excited about the fourth (and final? Boooo) installment of the Charlotte Holmes novels by Brittany Cavallaro, A QUESTION OF HOLMES. I love mysteries. I have such mystery writer envy, too! 2018 was a good reading year for me. My favorite read of the year might’ve been LUCKY BOY by Shanthi Sekaran (which was actually a 2017 book). It was incredibly timely and quite hard to read (about a little boy who is separated from his mother, who is undocumented), but beautifully written. Hard as it was to read, it was equally hard to turn away from. Drafting, without question. I really believe in writing lousy first drafts—drafting is about getting words on paper, and I find it very freeing to approach it that way. Revising is so hard. My first book, RULES FOR 50/50 CHANCES, is about a young woman whose mother has Huntington’s disease. The Huntington’s Disease Youth Organization (HDYO) is a vibrant group that does great work supporting young people affected by HD. They were also very generous and supportive when I was researching that novel, so I’ll always appreciate their kindness. I wasn't so much interested until I read the blurb. Oh, this sounds so good. Stories about kids who are sick make me sad. The cover isn't really what I expected for such a deep storyline. I wasn't so much interested until I read the blurb. Oh, this sounds so good. Stories about kids who are sick make me sad. :( The cover isn't really what I expected for such a deep storyline. I love the beautiful cover and the synopsis sounds interesting! Love that cover, and the synopsis sound really unique! This cover is so eye catching. It definitely stands out to readers! I love the colors of the cover. The synopsis sounds unique and emotional and promises a hint of science fiction which I love. The cover really pops out. The story is thought provoking and interesting.